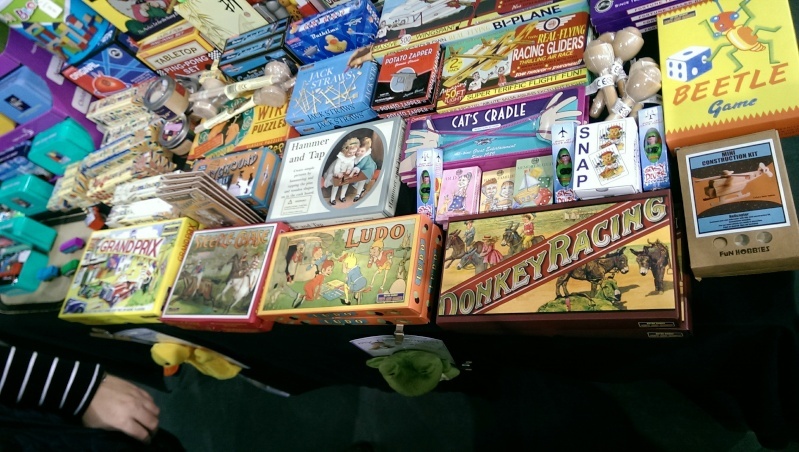 We went to Elsecar Farmers Market and Craft Show today and there was a stall selling new retro board games. Looks like Grand Prix, Steeple Chase, Donkey Racer, Ludo, Beetle Game (which I remember from my childhood - something about building a plastic beetle out of beetle parts?) and more. Not sure who would be interested in these, maybe collectors? I've seen these in museum and art gallery gift shops. I think they're probably just tourist fodder, like all those keep calm mugs, but they certainly look nicely produced.